William Eggleston, Sally Mann, and William Christenberry made Southern photography famous. Now, in this new century, the torches are being passed through a new exhibition now on view in New Orleans. When I graduated from the Fine Arts Department at Florida State University in 1998, my professors told me, “Go to New York City. That’s where you can make it in the arts!” I took the advice and started my career as an artist, teacher, and museum professional in New York City. The all-immersive art environment I became part of in New York City was a priceless experience. Anyway, at the time, I was done with the South and had vowed never to return. Moving to New York was the second best thing I ever did. The best thing I ever did was leaving New York in 2005 to return to the South. After seven years in the big city, I felt claustrophobic. I missed the South, so I packed up and moved to New Orleans. In the late 1990s, my professors had been right: New York City — the art capital of the planet — was the place to go to make it in the arts. But that’s not really true anymore. New York, San Francisco, Chicago, and Los Angeles — our nation’s traditional art hubs — are not as welcoming for artists these days because of high living costs and limited access to studio space. For many established and emerging Southern artists today, cities like Houston, New Orleans, Atlanta, Miami, and Richmond are far more inviting, less expensive, and offer more opportunities per capita to make and show work. As more Southern artists reject the lure of big cities up north and out west, they stay home to pursue their crafts. Others, like me, have returned to the South after starting their careers elsewhere. Around the same time I moved to New Orleans, the city was sprouting a wonderfully supportive network of galleries, collectors, and online platforms, which has since expanded and cultivated the whole region’s growing photographic community. In New Orleans, PhotoNOLA — a month-long celebration of photography featuring portfolio reviews, exhibitions, and lectures — began in 2006 as a response to the devastating hurricanes of the previous year. In Richmond Virginia, Candela Books and Gallery opened in 2010 and began publishing gorgeous books and exhibiting forward-thinking, avant garde photography. In 2014, "Looking at Appalachia" — a crowd-sourced project based in West Virginia — began as a series of web-based and brick-and-mortar exhibitions that promoted photography made by a loose collective of photographers native to the region. 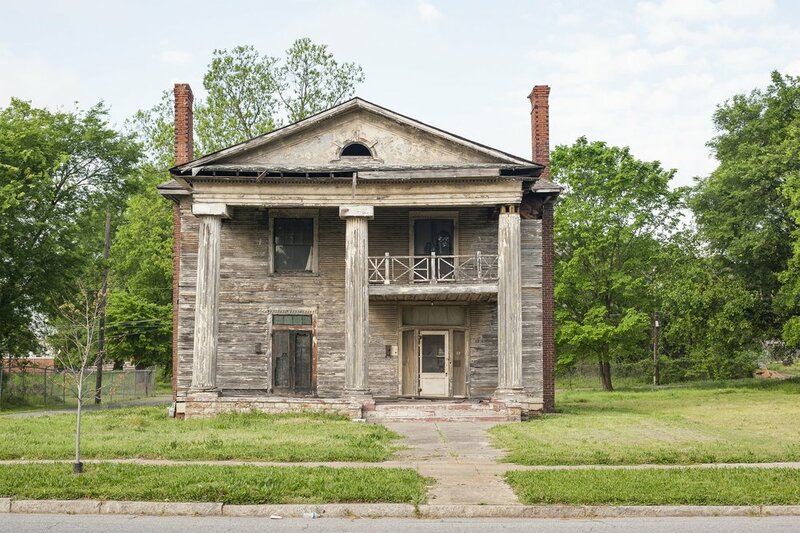 In 2012, the Do Good Fund Inc., a public charity, was founded in Columbus, Georgia, and in six years has built a museum-quality collection of over 500 Southern photographs. The Do Good collection now represents one of the most important assemblies of Southern photography in the world. In North Carolina, the Center for Documentary Studies at Duke University continues to spearhead the collection of photographs, and steadily graduates a new generation of innovative Southern photographers and filmmakers. These upstart festivals, galleries, collectives, collectors, and universities, have all contributed to an inclusive environment ripe for opportunity and creativity in today’s burgeoning Southern photography community. It’s an exciting time for photography in the South. A perfect storm of new talent, creativity, and expanding opportunity is fueling a renaissance in Southern photography. That's why New Orleans' Ogden Museum of Southern Art, where I serve as photography curator, last week opened "New Southern Photography." Featuring the imagery of 25 artists, this exhibition represents the largest photography exhibition ever organized by the museum. The goal of the exhibition is to present a cutting-edge survey of the depth and breadth of photography, film, and video art being practiced in the American South today. Photography is perhaps the American South’s greatest contribution to the worldwide conversation within 20th-century art. From the 1960s onward, Southern photographers such as William Christenberry, Sally Mann, and William Eggleston became international art superstars and pioneered the “Southernization” of the contemporary global photographic aesthetic. Their photographs of a strange, complicated, exotic, and often-misunderstood place reverberated out of the region and into the eyes of the international art world. “New Southern Photography” looks to a new generation of emerging and lesser-known contemporary photographers who are making important and interesting work in and about the region. The images these photographers are producing are changing the visual perception of the American South, and in doing so, are defining the region's future before a national and international audience. “New Southern Photography” was conceived in 2012 to reconcile with and promote the world-class photography being practiced in the 21st century American South. This exhibition strives to provide a stage in which a comprehensive overview of the innovative work being made in and about the region can be experienced firsthand in a single place. “New Southern Photography” strives to portray “the reality on the ground” in the modern, globally connected South. The South is changing fast, photographic technology is constantly evolving, and so are the stories Southerners are telling through photography. The scale of the exhibition allows enough wall-space to showcase 25 photographers and filmmakers with a monographic installation focusing on a single “body of work” within the context of a large group exhibition. All the photographs, films, and videos included in "New Southern Photography" were made within the last 10 years. Aesthetically, the work ranges from the objective to the abstract. The images all address memory, the experience of place, cultural mythology and reality, racial and sexual identity, deep connections to the land, the lasting effects of the past on the present, and the transitory nature of change within the physical and cultural landscape of the modern South. A dominant thread is the re-imagining of traditional genres such as landscape, portraiture, and still life. Many of the photographers practice the very postmodern idea of synthesizing formal concepts and aesthetics from the history of photography, painting, and sculpture to create a new photo-prototype or imagery that transcends the idea of photographic purity. A universal concept shared by all the artists is their use of the camera as a tool to search for meaning, to make sense of, and to understand the place we call the American South. At the beginning of the 21st century, the identity of the American South and the definition of regionalism are in flux. At this moment in the history of Southern art and photography, the South is just as involved in a global conversation as it is a regional one. This is a two-way conversation — the world resonates to the South and the art of the South resonates out to the world. Although the technology of photography has changed, what remains constant throughout Southern art and literature is the storytelling tradition. Today, Southerners have new stories to tell, stories as diverse as the region's inhabitants. And even though the stories of the present may differ from those in the past, the Southern storytelling tradition — weaving tales, some true and some not, about memory, place, land, family, and history — remains central to the narrative of the region. Knowing a survey of 25 photographers cannot present the complete story of contemporary Southern photography or the complexities of the American South, "New Southern Photography" is being planned and organized as a triennial exhibition originating from the Ogden Museum. The second incarnation of the exhibition — "New Southern Photography II" will debut at the Ogden Museum in 2021, and will again feature the work of 25 photographers, filmmakers, and video artists. “New Southern Photography” will be on view at the Ogden Museum of Southern Art in New Orleans through March 10, 2019. 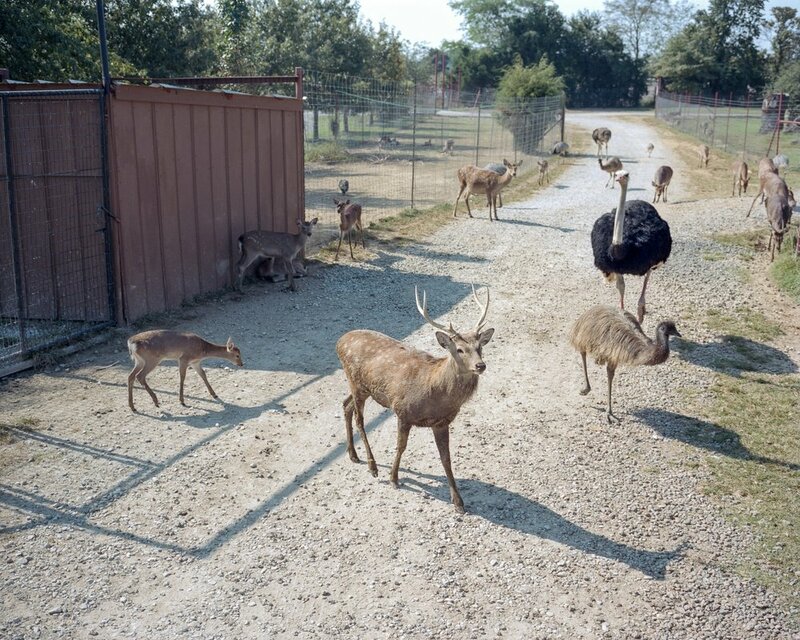 Richard McCabe is a photographer, curator, and writer based in New Orleans. He was born in England and grew up in the American South. In 1998, he received an MFA in Studio Art from Florida State University. Since 2011, he has been the Curator of Photography at the Ogden Museum of Southern Art.